2 Bedroom Flat For Sale in Leeds for Offers Over £180,000. This is a spacious two bedroom, two bathroom apartment with a balcony in the iconic Skyline development opposite the new Victoria Gate/John Lewis development. 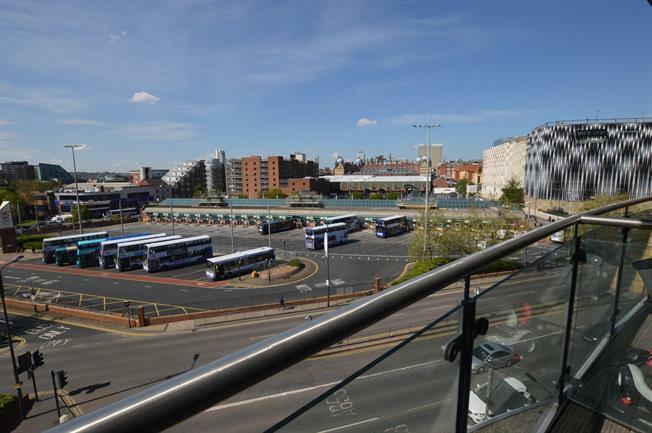 This is a fantastic third floor apartment has a large, bright open plan kitchen and living room, with modern kitchen and floor to ceiling windows leading out on the balcony which has fantastic city views. The master bedroom is very sizeable and also has an en-suite bathroom. The second bedroom is also a double bedroom. The house bathroom has a bath and shower. Viewing is highly recommended to appreciate the space of this apartment. Available for vacant possession.